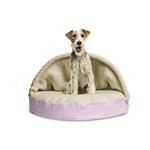 The Furhaven Faux Sheepskin Snuggery Pet Bed - Pink is the cozy burrow bed that every dog or cat loves! 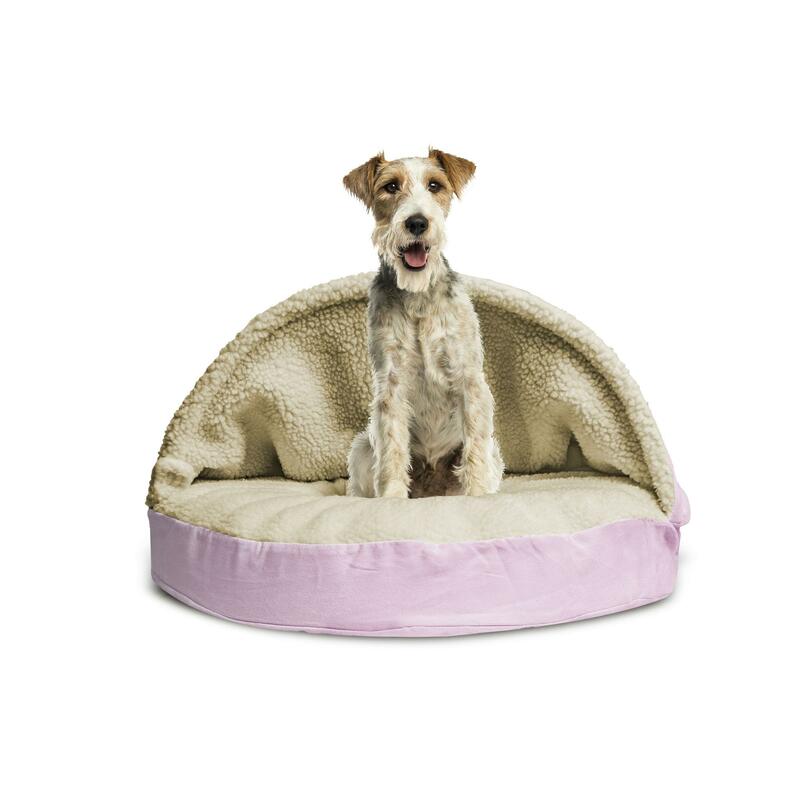 The Furhaven Faux Sheepskin Snuggery Pet Bed - Pink gives your pooch or cat a cozy snuggle spot of their own instead of under your covers! The top part of the bed can be a flexible hood or blanket for your pets preferred sleep habits. 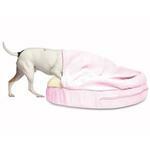 It features orthopedic foam that is comfortable and helps the arthritic pet get comfortable more easily. The faux sheepskin lining comforts your pet with privacy and warmth! The cover is machine washable and the inner foam is made in the U.S.A. This luxurious and stylish bed is sure to give your pet the comfort they deserve! Size 26: 26" x 26" x 3.5"
Size 35: 35" x 35" x 3.5"
Posted On 10/14/17 by Patricia H from , Yes, Patricia H recommends this product! Just got this and my little girl loves it. She can hide her toy or lay on it. So far she hasn’t snuggled in it but is thoroughly enjoying it. It appears well made and is comfortable for her. I would like to see more NFL or Baseball Jerseys and hats for dogs.